Technology is gradually changing our methods of doing things. These days, people no longer take notes with their pen and pad; rather they will prefer using their iPhones to take note of important events. It is a current trend among iPhone users to take important notes using their device. These notes ranging from important workshops, brilliant ideas and other life events which can be stored in the memory of your iPhone. However, nothing is more frustrating and heartbreaking like discovering that you lost these notes – valuable information that took you time to gather. If you ever find yourself in this situation, you’ll feel privileged to read this post. iMyFone D-Port Pro (iOS 11.3 supported) is an iOS data backup and restore tool. 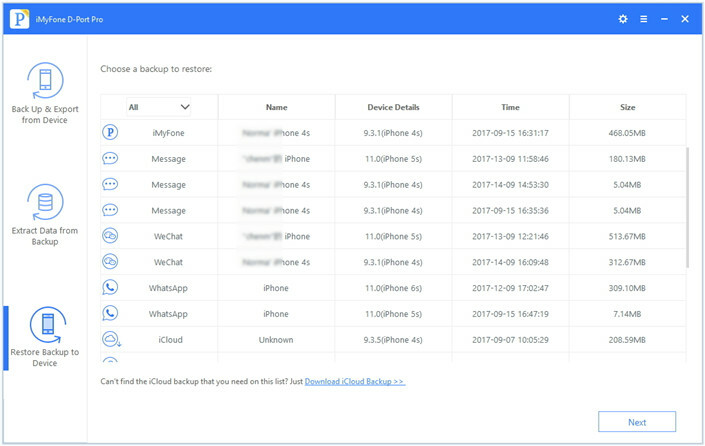 The launching of the tool is due to the challenges iPhone users face when they try to backup and restore notes on their devices. It is regarded as a more effective and simple alternative to iTunes and iCloud. 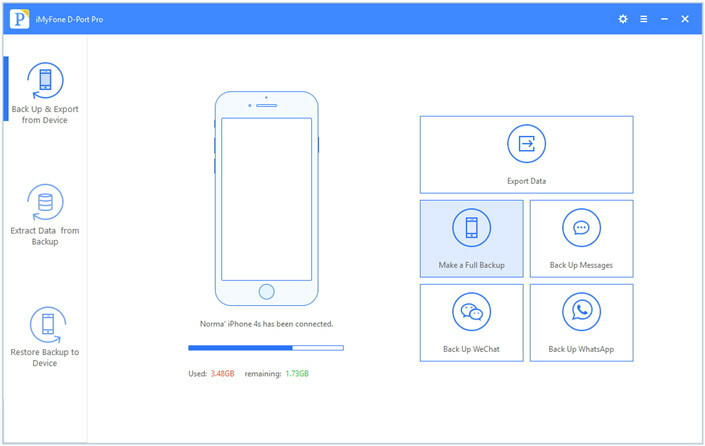 iMyFone D-Port Pro is highly recommended by Cult of Mac, Cnet, Macworld, Pcworld or other famous media sites; It has great features which can help you selectively backup and restore your iPhone data without overwriting the previous backup files. Choose “Back Up & Export from Device” from the left panel. 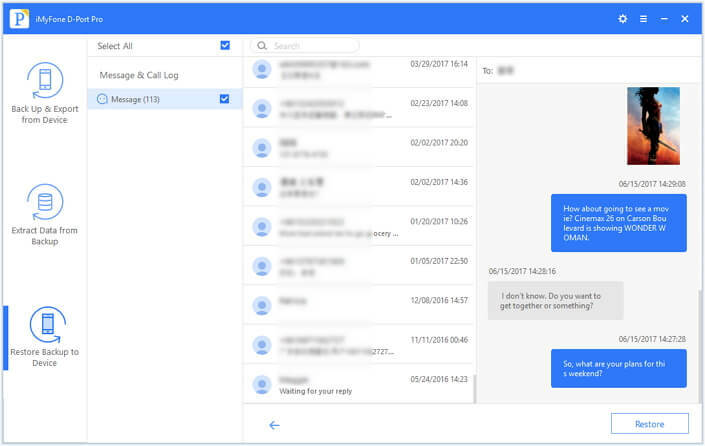 Once the click has been made, you will have different options - Whatsapp, Wechat or full backup. The choice is yours. After making your choice in the previous session, a new screen will appear. From this screen, click on Backup to proceed. Once the process starts, it is advisable not to disconnect your device. Once the process is completed, you will be notified that your data has been successfully backed up. You always have the option of view and extracting data from backup, or restore your device to a later date. The first step is to click “Restore Backup to Device” and you will be given different options to choose from. 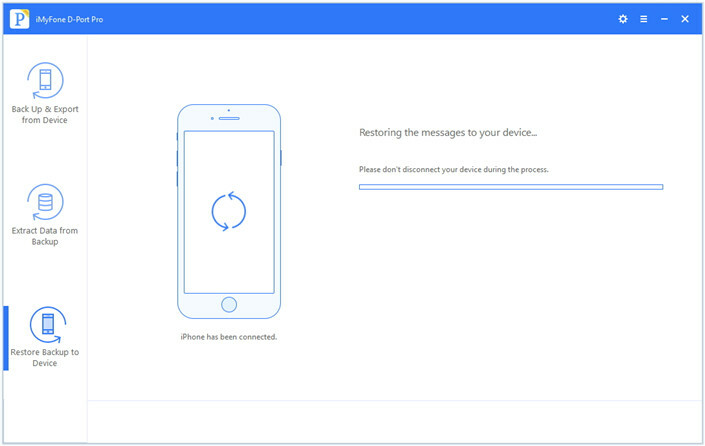 Choose the backup of the note that you are restoring to your new iPhone. After which click on next on the main screen and it will lead you to restore your notes backup to your device. After the first step above, click on next to enable the program to start scanning the note backup. When the scan is completed, preview the data to be sure it is what you need. Click on restore once you are certain that it is the correct note you are restoring. The D-Port Pro tool will help to transfer your note data safely to your iOS device. Open the iTunes on your device. Select this computer under automatic backup. There is an option for Encrypt backup for device, click the box. This will ensure that your important data and notes are backed up. It is recommended to create a password to protect your encrypted backups. Open iTunes on your computer. There are instances when you can’t access your computer and your device is still functioning. In situations like this, you can erase and restore your device without a computer. If you can access your computer, connect your iPhone device with an original cable. There are at times when a message asking for device passcode or trust this computer pops up, follow the sequence on the screen, to pass through the stage. 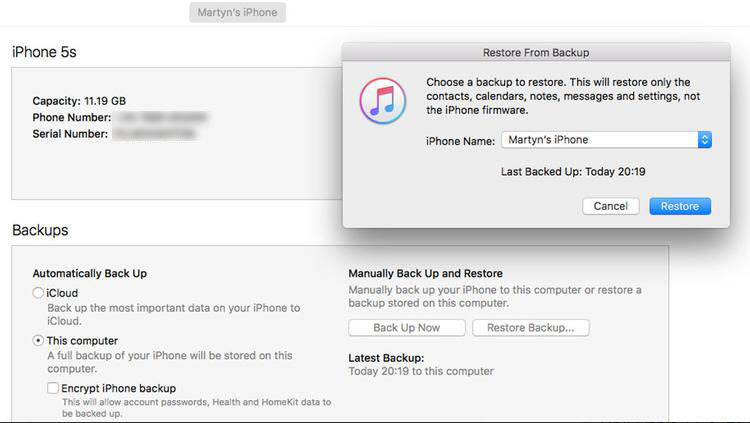 After fulfilling the above requirements, click on “Restore Backup” on the summary panel, choose an iTunes backup that you made before and tap on “Restore”. Connect your iPhone to a Wifi network. Open the setting app on your device. The setting app is usually grey with the shape of gears. Tap on your name at the top of the setting app. This will give you access to iCloud and Apple ID setting. Tap on iCloud so as to enable you access iCloud setting. Scroll down and tap on iCloud backup under the iCloud section. 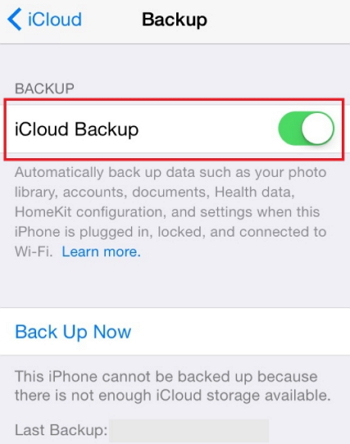 Toggle the iCloud backup to on position. 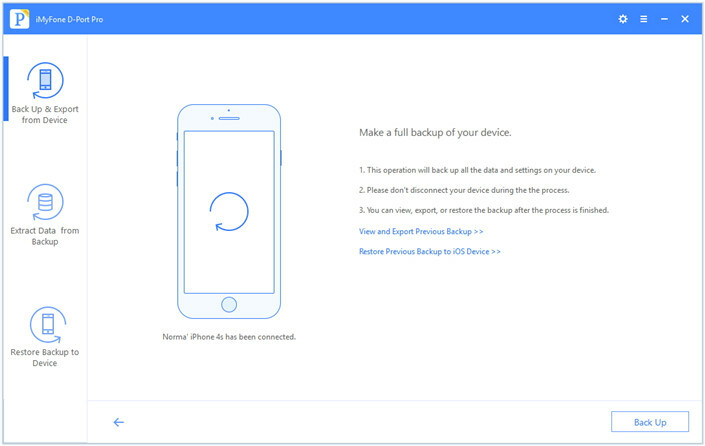 Click on backup now to start the process on your device. Allow the backup to complete, once completed you will be notified. 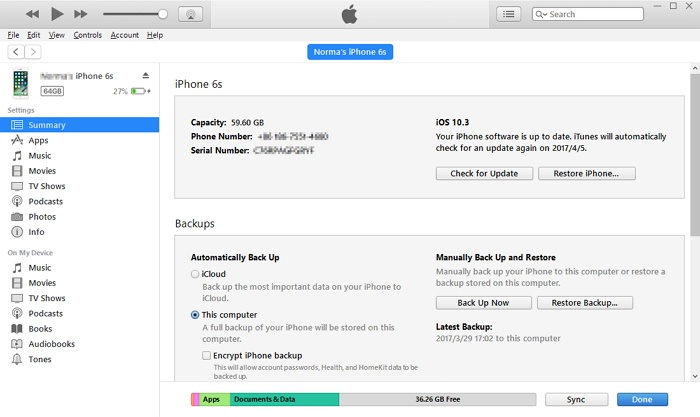 Restoring your iPhone from a backup is easy and simple. Just follow the steps below to know how to perform this task on your iPhone device. Switch on your device and ensure that all the contents are erased. Otherwise, you can’t use this method to restore your iPhone from a backup. Follow the onscreen user-friendly setup until you get to app and data screen, then tap “restore from iCloud backup”. 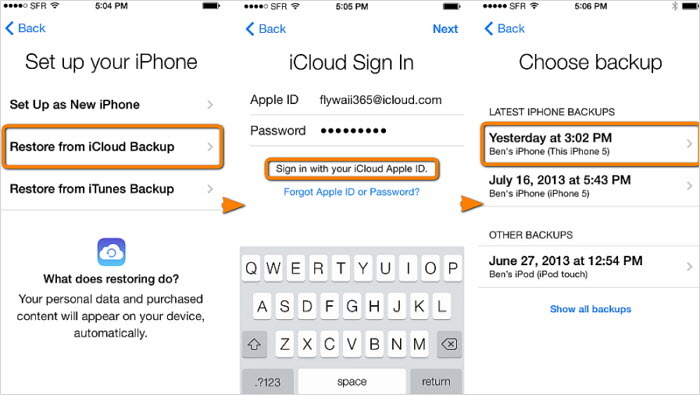 You will be required to sign into your iCloud with Apple ID. Choose a backup, try and lookout for the date of that particular data you are restoring. You may be asked for update, due to newer version of iOS, follows the onscreen guide to know what to do. You may be asked to sign in to your Apple ID account to restore apps and purchases; you can always skip this step, especially when you can't remember your login details. Stay connected and monitors the progress. A progress bar will appear in most cases, monitor it till it completes. The speed and time of completion may defer based on the data size you are restoring. Once the progress bar is completed, you can now finish your step up. Some apps may take a longer time to update or restore themselves. 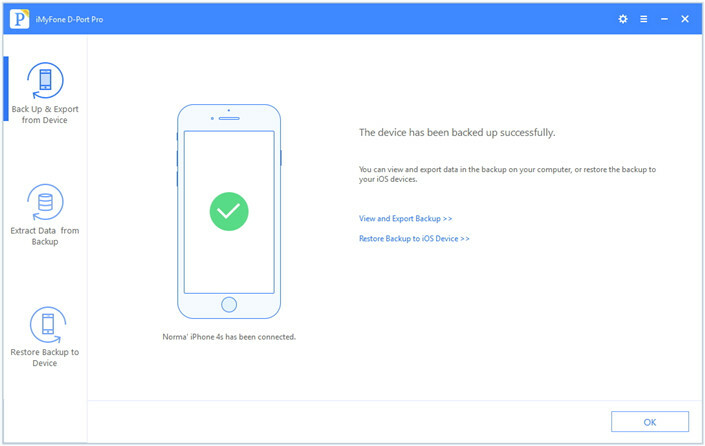 When it comes to backup and restore iOS device, most users would think of iTunes and iCloud. However, here are limitations that restoring from iTunes/iCloud will most probably lead to data loss and users have no way to backup and restore specific data while it is what iMyFone D-Port Pro can achieve!